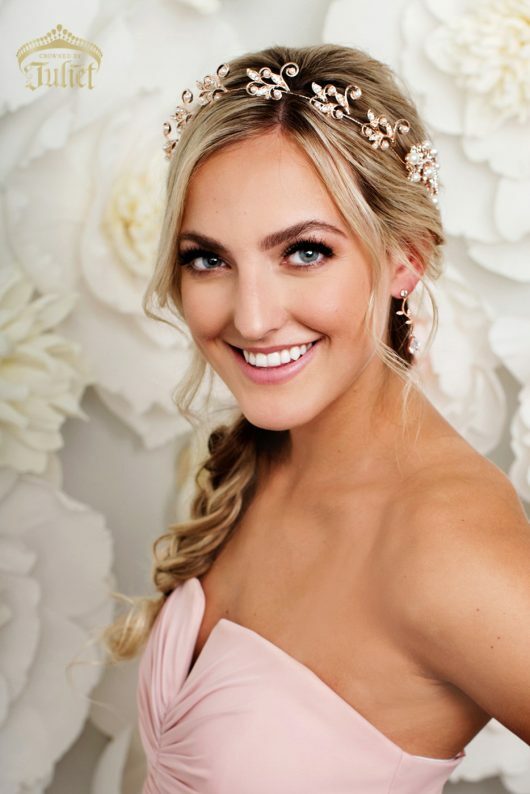 The XANDRA Halo will add the sparkle and elegance that provides the finishing touch to your bridal or bridesmaids ensemble. 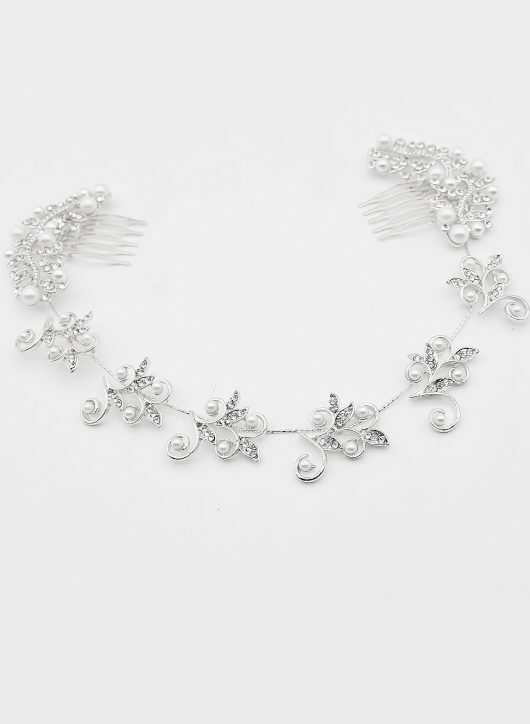 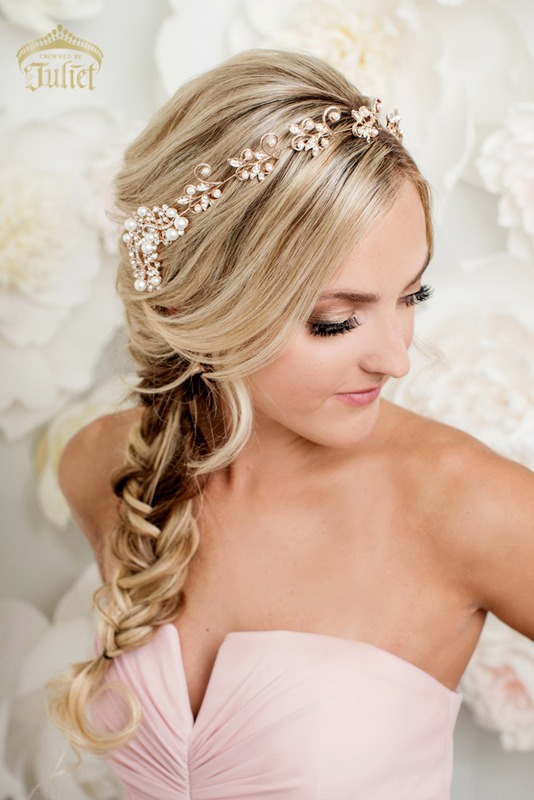 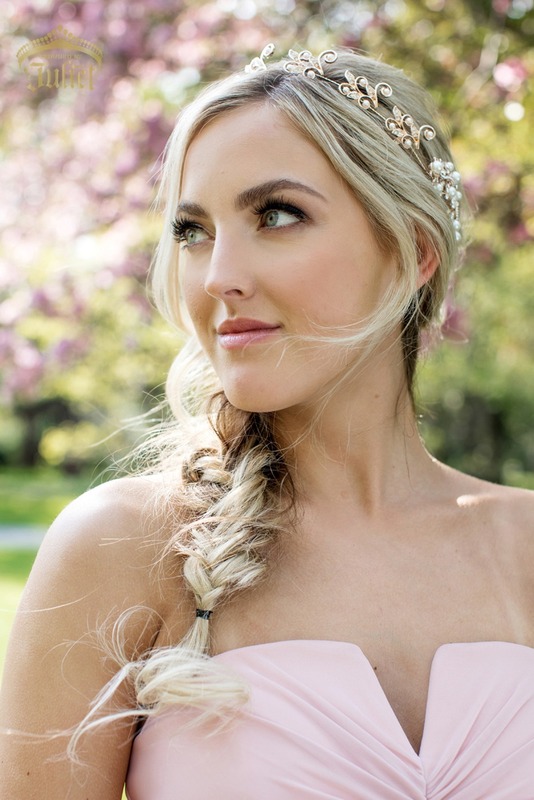 This gorgeous hair adornment is embellished with simulated pearls and Austrian crystal leaves in a flexible piece that shapes easily to your head. 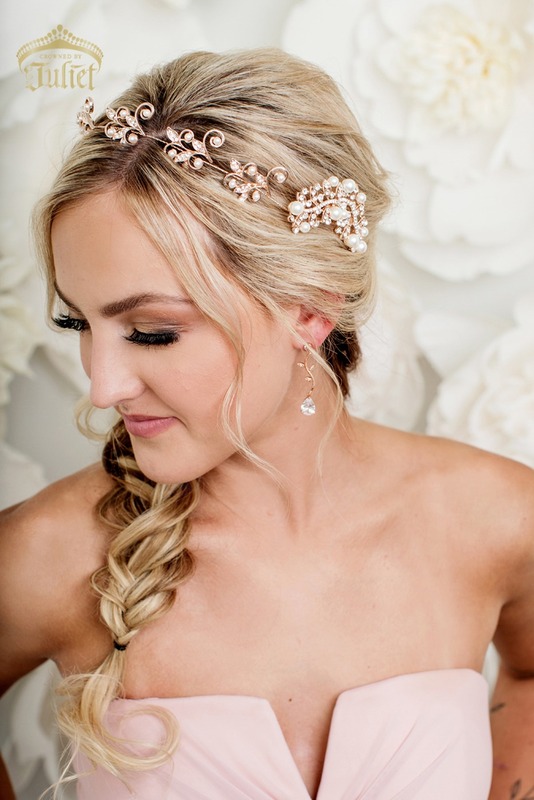 Scrolls and crystal pavé leaves are dotted with faux pearls in a pattern from side-to-side, ending with a channel of crystals, more pearls, and combs that keep the XANDRA secure on your head. Weight: 78 grams / 2.8 oz.